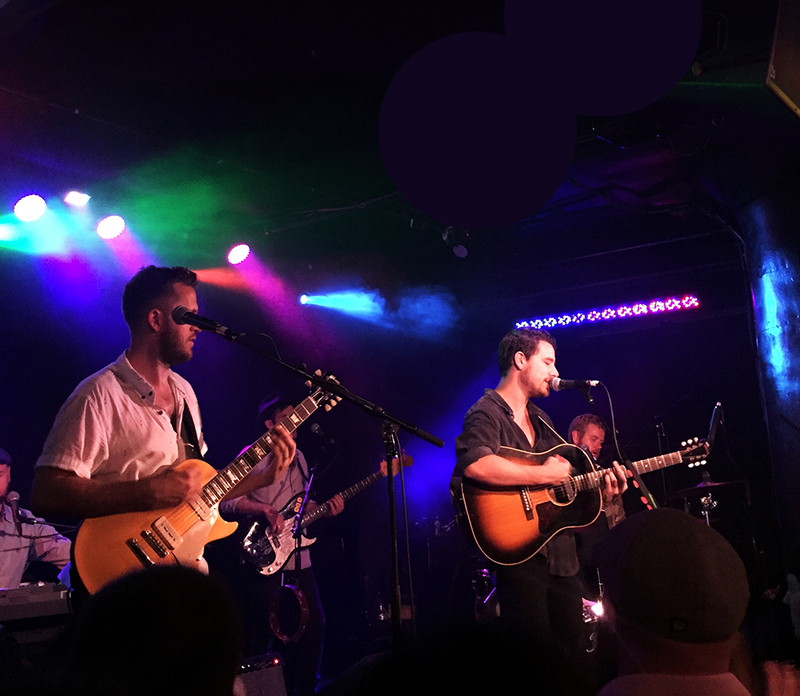 I mentioned last week that I was getting to see one of my favorite bands, Boy and Bear, play at Underground Arts in Philly. They are an Indie/Folk band out of Australia and I <3 them. I was looking forward to the show all week. No joke, I felt like a high school fan-girl going to see Bieber or One Direction, hahaha. Along with all the anticipation was a little bit of nervousness that seeing them at a venue like Underground Arts might take away the awesome live experience I had with them at Firefly in 2014. Seeing them at Firefly was an incredible experience, they played on one of the stages that is a bit hidden in the trees. It was shaded and mellow and magical. I couldn’t decide if my love of seeing them live was attributed more to the atmosphere of Firefly or their music alone. By the way, their music is amazing…there’s a playlist of their stuff in last week’s post if you haven’t given them a listen! It’s intimate – you are close to the stage no matter where you are standing. Compared to a lot of other venues in Philly, it’s off the beaten path. Because it’s a smaller venue the music really envelopes you without making you feel like you just happen to be standing next to a really loud speaker. The venue is dark and moody, with some cool light fixtures on the perimeter and a large bar along the wall to the left of the stage. Right after grabbing a drink, I grab a spot just to the left of the stage. I watch as the sound tech checks all the guitars and the crew gets things in position. I love being at smaller venues for this reason, it’s fun to see the set up. Getting to know a little bit of the prep work that goes into anything you enjoy seeing is so interesting. Plus, I think the vibe is created more by the band than by the crowd. Less people = more power in the hands of the performer and a better experience for you overall. The guys of Boy and Bear walk out onto the stage as if they are walking into a basement to play a show for a few friends. They are all pretty low-key, you can tell they are just doing their thing, which makes it feel that much more honest to me. You are there, they are there and they’re ready to share their music with you. I can 100% say that my love for seeing them live is NOT because of the scene that was set at Firefly, that was just an added bonus at the time. Boy and Bear is a band who sounds just like their recorded stuff…but better, live. When you listen to their albums there is an energy that comes through the music. You can feel the emotion that powered the lyrics, whether it’s hurt or excitement or a mixture of both. The beauty of seeing them live, is you get to see that power and feel it in the song at the same time. It’s a pretty cool thing to be able to share a part of yourself that way. The crowd dances and sways all together with the songs, proving that everyone here loves the songs as much as I do. Considering it’s only their second time playing in Philly, it’s exciting to see how many people know all the words and have favorite songs they want to hear. You can see each of the band members disappear into the songs at their peaks and then come back as they wind down to transition into the next song. The show winds down and I make my way out of the venue. It sounds cheesy, but I am on a cloud. Nothing gets my creative side turning quite like a good show, and this one definitely falls into that category. If you ever have an opportunity to see Boy and Bear perform, take it. They have a few more shows in the US before heading to Canada and back to AUS, so if you are in any of those cities TAKE ADVANTAGE. P.S. If you google David Hosking really strange pictures come up, mostly involving someone by that name who owns a pharmacy and has exzcema.